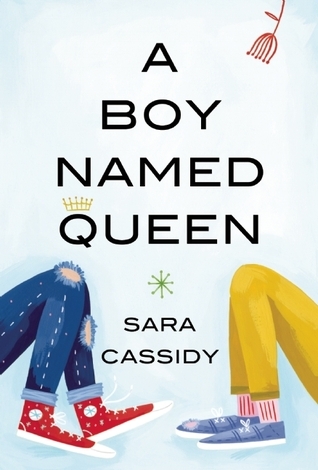 Synopsis: Evelyn is both aghast and fascinated when a new boy comes to grade five and tells everyone his name is Queen. Queen wears shiny gym shorts and wants to organize a chess/environment club. His father plays weird loud music and has tattoos. Review: The title got my attention. As I was about to request it I realised it was listed as children’s fiction but gave it a chance anyways. It was a cute story that shows what elementary school is like nowadays with the bullying, but how to ignore it. If you’re different, embrace it. There wasn’t literature like this when I was in grade 5 but times were different back then. I think it’s the perfect age to get out a great message. Is there a book from your childhood that you remember having a great message? This entry was posted in ARC, book review, childrens literature and tagged book review. Bookmark the permalink.